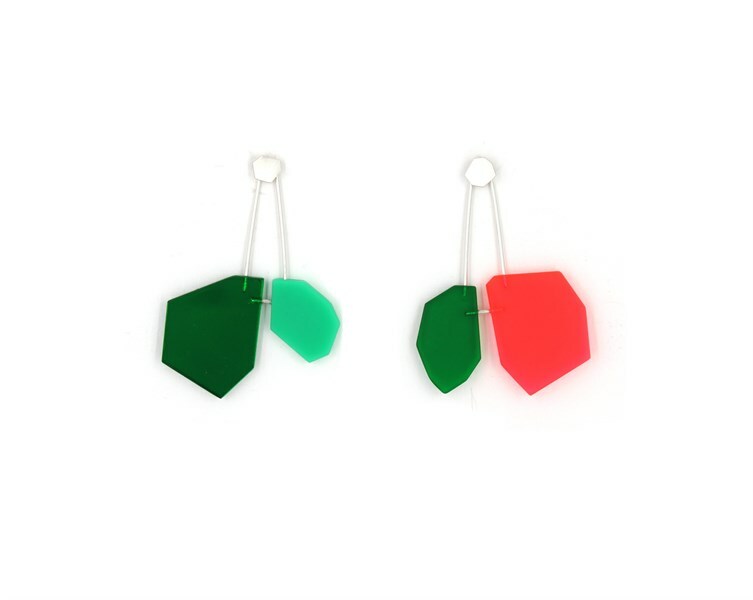 These sterling silver and acrylic asymmetrical earrings are a visual delight. Simmens uses sugar as her inspiration in Pink and Green Molecule Post Earrings, each geometric shape represents an element in the formula for sugar. With some shapes being transparent and others mirrored or solid, the visual effect is stunning. These earrings are a dynamic and bold statement.